The key drivers of growth were Europe, the USA and China. The Macan and the new 718 Boxster had a particularly positive effect on the result. The excellent response to the new Panamera provides an additional boost. There were 12,848 deliveries of the 718 Boxster, exceeding last year's result by 9 per cent. Meanwhile, the legend of the Porsche 911 continues: With a total of 32,409 models delivered, sales of the 911 once again grew by 2 per cent, helping it to maintain its special position in the market for exclusive sportscars. 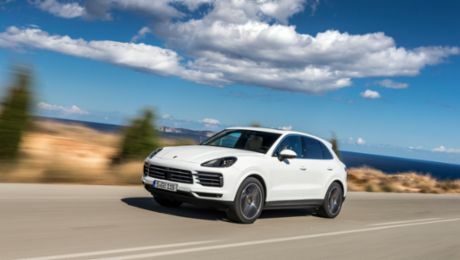 The Macan reinforced its position as the best-selling Porsche with 95,642 vehicles delivered, representing an increase of 19 per cent. In the sales regions, Europe surpassed last year's excellent result by 5 per cent, delivering 78,975 vehicles. Germany remained stable at 29,247 vehicles delivered (+1 per cent). Porsche has also continued its success story in the USA, where last year the company delivered 54,280 models, some 5 per cent more than in 2015. After the great success of the Porsche Experience Center in Atlanta, Porsche reinforced its presence in the key American market by opening a second site in Los Angeles in November 2016. China is once again the strongest individual market, with a total of 65,246 vehicles delivered – an increase of 12 per cent. 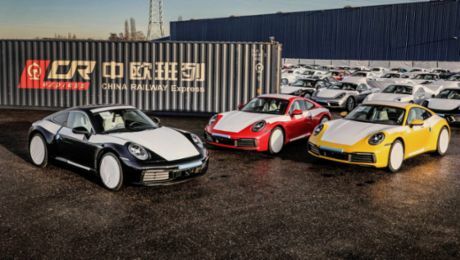 Porsche is responding to the good level of demand by further expanding its dealerships and it plans to open the Porsche Experience Center in Shanghai in 2017.